Mixtape: Rapsody "She Got Game"
After releasing her well-received debut album The Idea of Beautiful last year, North Carolina rapper Rapsody continues her lyrical pursuit with She Got Game. Hosted by DJ Drama, the 16-track project includes features from Chance The Rapper, Raekwon, Ab-Soul and Mac Miller, as well as production from Khrysis, Eric G and Jamla label head 9th Wonder. While the mixtape is certainly a star-studded affair, Rapsody is the head women in charge here, with tracks like "Generation" and "Feel Like (Love Love)" showcasing her exceptional rhymes and a distinct style that positions her as the rap game&apos;s female Jesus Shuttlesworth. 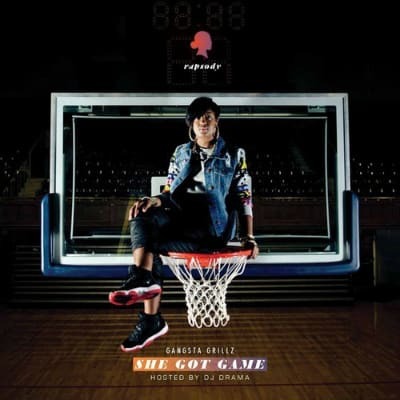 Stream or download Rapsody&apos;s She Got Game below. RELATED: Listen: Rapsody f/ Phonte & Jay Electronica "Jedi Code"